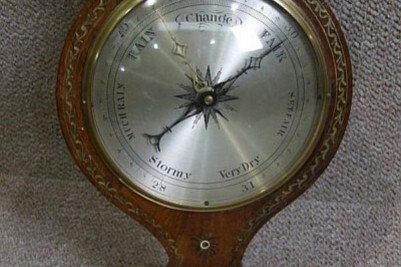 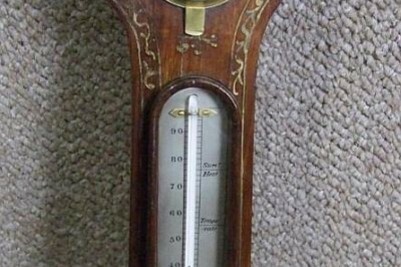 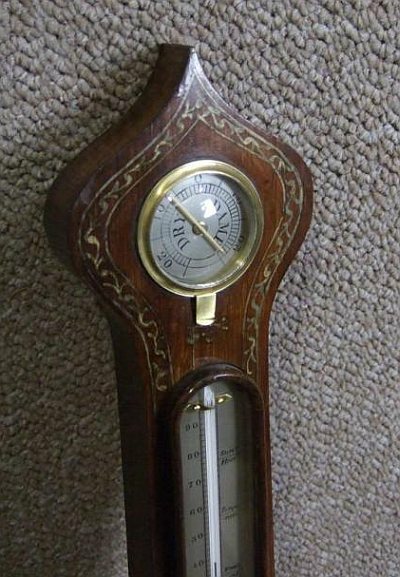 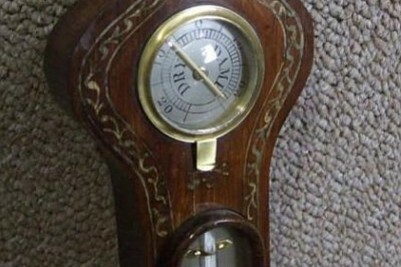 An elegant, Mahogany, Victorian Banjo barometer. 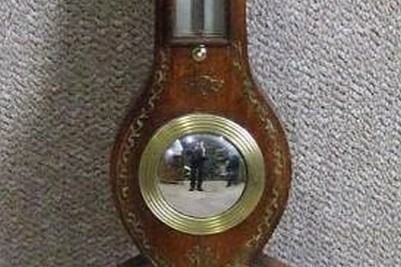 This item has its traditional ‘dry’ and ‘damp’ read to top, its thermometer, a traditional centre mirror, and its large central wheel feature. 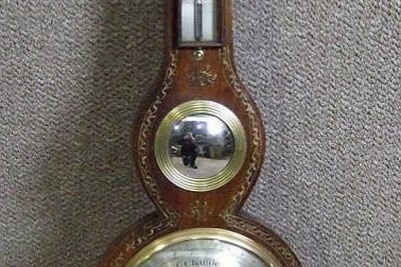 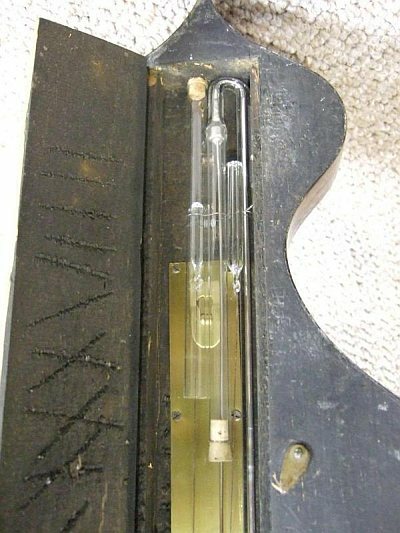 The item is in excellent condition, and has been fully restored, as shown by the photographs; the main brass tube is corked and wheel is fixed with tape. 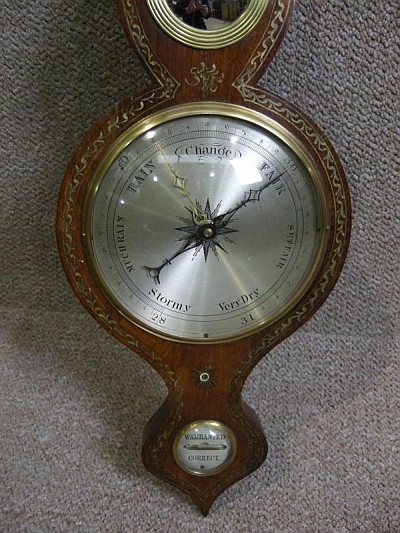 The outside case is veneered in mahogany with a painted decorative design. 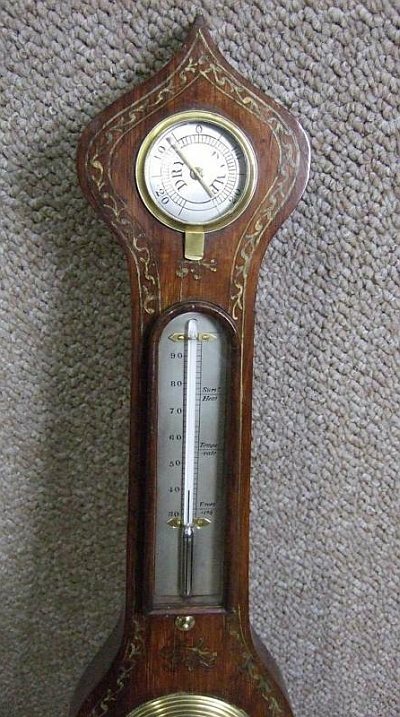 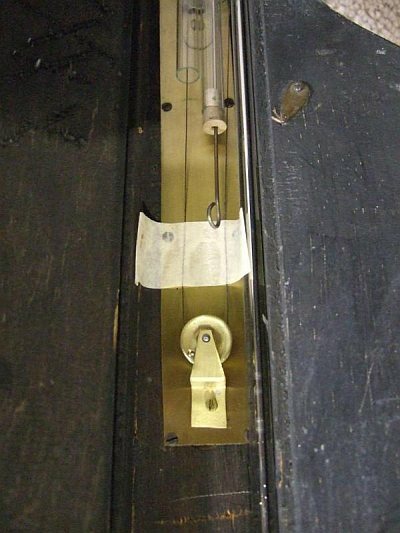 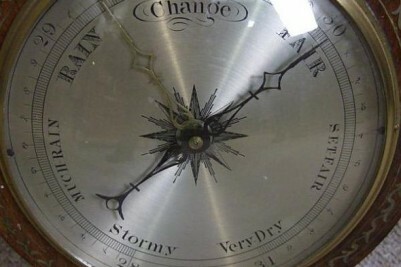 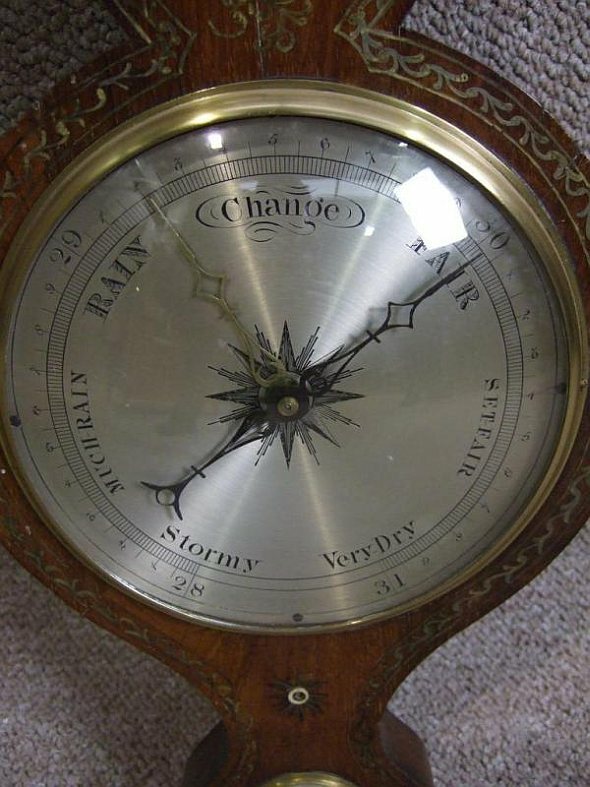 We believe that the barometer dates from 1860. 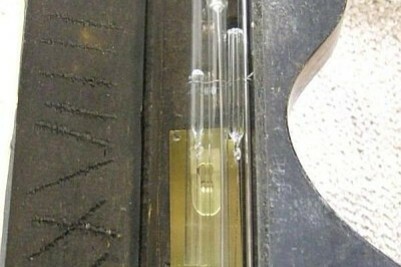 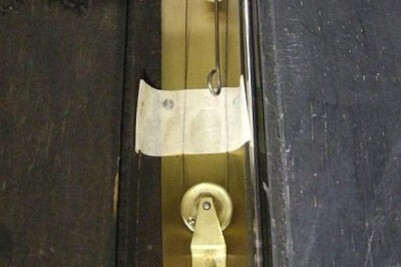 This item must be delivered via courier, or collected in person due to its fragility.